Excellent well priced lenses compared with other, plus the addition of earning points. I've been wearing these contact lenses for a few years now and they are the right ones for me. However, I still have to wear ready-readers for close work or reading in poor light. But I think it is a lucky person indeed who doesn't have to do that. Exactly what i ordered & delivered with in a few days. I have used this product for 2 years. Its excellent. And its very good choice for anyone else.. Excellent quality product that I have used for over 5 years. These lenses really suit my lifestyle. I put them in early morning and remove them before going to bed and use them for long distance and close up reading. Very competitive prices. Have used pure-vision lenses for year, it was a natural progression to the multi focal lenses. Excellent. Will reorder. Fast delivery. Iwould recommend these lens for anyone who uses extended wear lens they are very comfortable. I would recommend the product to colleagues and friends and use the site to remind me, then replace my lenses ensuring that I receive my new supply before I run out. I wear lenses 24/7 and find these pure vision multifocal lenses suit my lifestyle perfectly. This product is great for people like myself who use extended wear lenses ,the fact you can sleep with theese lenses in is great. Contact lenses that correct presbyopia and can be worn daily for up to one month. PureVision Multi-Focal are made of silicone-hydrogel, helping them deliver nutrients to the cornea. Users of the PureVision Multi-Focal contacts can start using the new PureVision 2 for Presbyopia lenses without a new prescription. Customers who bought these lenses also bought Zero-Seven Refreshing 360 ml with case. In that case just put “0” boxes in the second eye. It makes no difference between Left and Right. Yes, these are the original PureVision Multi-Focals and they are available with that prescription. PureVision 2 are either spheric, or toric. These lenses are multi-focal. In this case 6 lenses = 6 months, per box. What is the monthly charge for multifocal lenses please. I want an ongoing direct debit set up where i have 2 new lenses each month. These lenses are available only in boxes of 6 lenses, which means 6 months supply for each eye in case you have different parameters for your eyes. You can send me your prescription to info@lentiamo.co.uk. If you need any further assistance, do not hesitate to contact us. 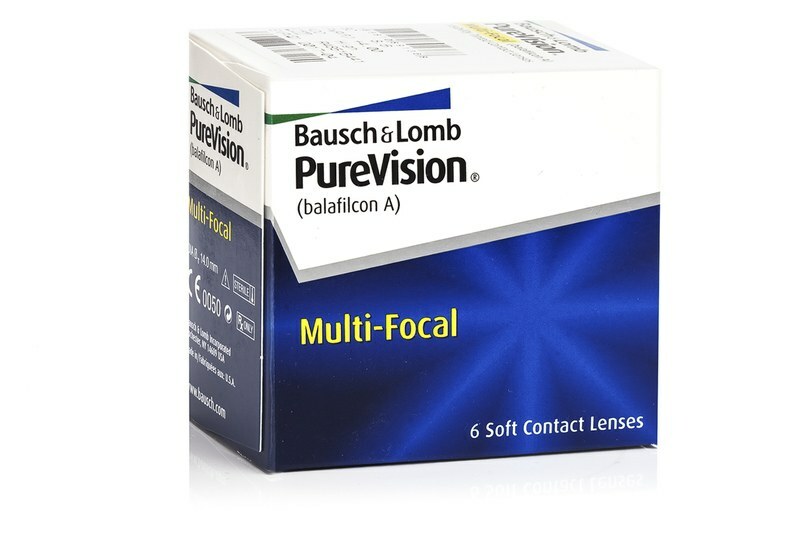 What is the difference between B&L Purevision Multofocal and Purevision 2 for Presbyopia? Thank you for this note. You must have a prescription for these contacts, from your optician, should you wish to purchase them. However, as far as I am aware, additon +2.00 falls into the High category for these lenses. But I would suggest to ask your optician, to be sure.